EVA is expected to begin 787 Dreamliner flights as early as October 2nd, and initially the planes will be used for short and medium haul journeys within Asia. The airline will receive 787-9 orders first, with 787-10’s to follow. 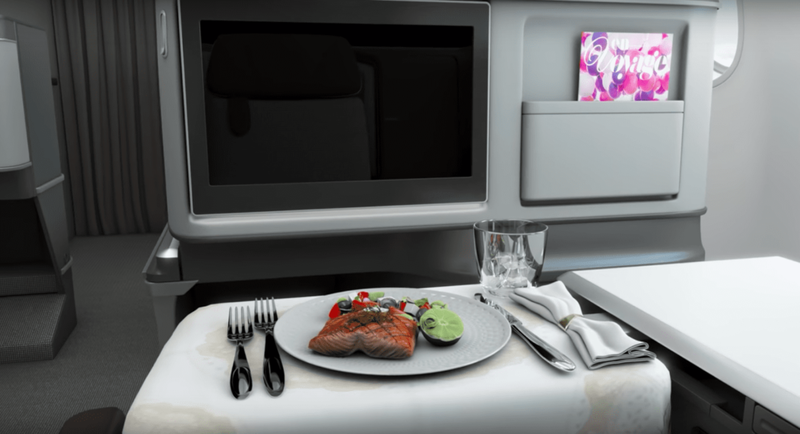 For business class, the airline has customized a Thompson Vantage XL seat, one of the most beloved floor models of the business class game, which travelers can find on Qantas, SAS and now, select Delta flights as well. 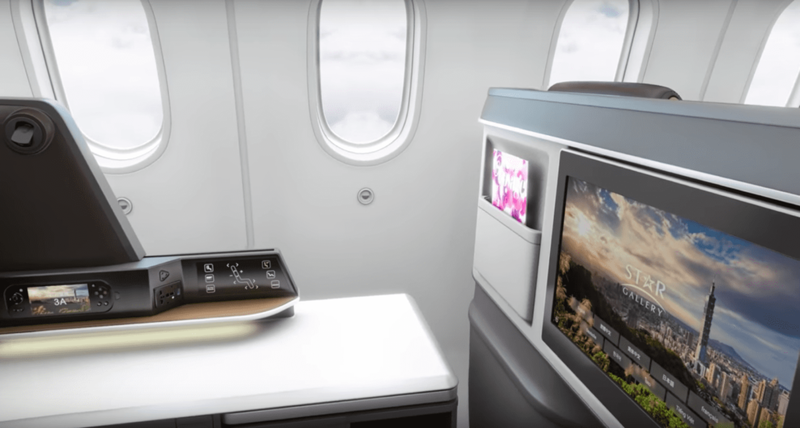 The seats are understatedly gorgeous, dripping in the natural colors of the airlines legacy, with clever lighting and accent colors in storage areas, headrests and seat cushions. 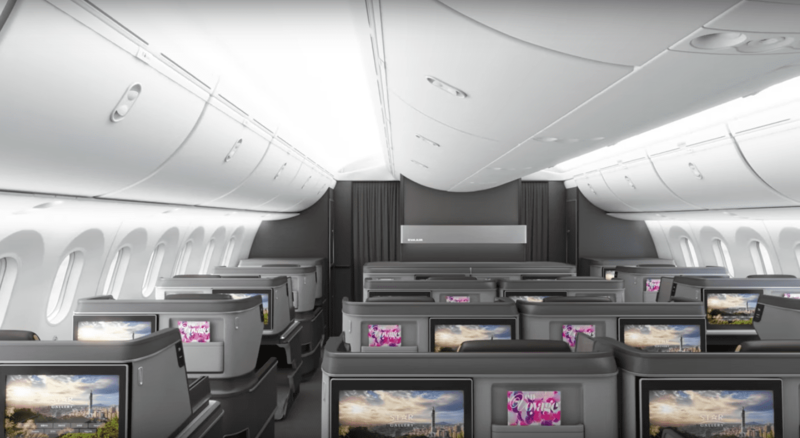 The new seat is an impressive lift from the comfortable but mundane appeal of the Boeing 777 business class and manages to weave a modern feel into a classic brand. Most importantly, storage space seems to be ample. With eye level, floor level and seat level compartments it appears that there’s a place for everything, and small touches like mirrors in the headphone storage area will be a hit with many travelers. Power ports seem well places, and it will be interesting to see if any conducive charging is installed. It appears to be hinted at via images, but certainly not confirmed. Wifi will be installed on these 787’s. Oh and the TV’s, they look large – and gloriously sharp. Previous ArticleHot Sale: JetBlue Offering Flights For $45 Or 2,600 Points…. Next ArticleIs It Ok To Videotape Airline Or Hotel Employees? My wife and I flew EVA early this year ORD-TPE-BKK, and it was just superb. Really outstanding people at all points. Extremely comfortable seats and very good food. There was no time for a lounge visit, which was a shame. Overall, both of us vastly preferred EVA to ANA in first class on a large number of fronts. I do wish that the new seating aboard the 787’s would be reverse herringbone, but having done so splendidly in the past, I’ll cheerfully reserve judgement before naysaying them on this front. Great to hear, Christian! Really hope to give these a whirl in the near future. Nice touches all around I think. Just another business class which dicks all over BA.